Palestinians from Awarta are reporting that IDF soldiers have been raiding their village every day recently, humiliating residents and damaging property while maintaining road blocks at the entrance. Awarta lies in close proximity to Itamar, in which five family members were stabbed to death a month ago. Mayor Qais Awwad told Ynet Monday that Israel has also taken over land belonging to the West Bank village in order to expand nearby settlements. 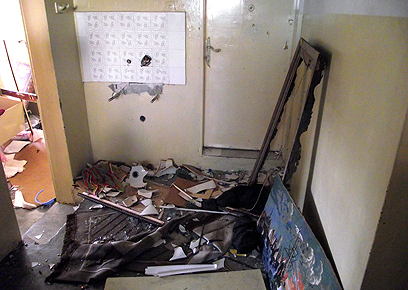 Yaakov Manor, a left-wing activist who visited the village on Sunday, recounted one such raid in a Palestinian home. "The soldiers entered rooms and broke furniture, broke a washing machine belonging to the family and a refrigerator as well. The soldiers tipped over oil containers and broke closets," he said. The Palestinian Authority condemned the raids and called on the international community to put pressure on Israel to halt them. 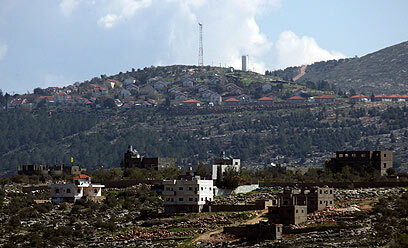 "Israel wants to destroy the village and expand nearby settlements," said the PA's foreign minister, Riyad al-Maliki. Meanwhile, residents of the nearby Itamar awaited anxiously any news on the capture of the murderers responsible for killing five members of the Fogel family. The details of the case have been placed under gag order. A neighbor of the Fogel family, Moshe Ronsky, told Ynet that he knew a little more than the rest of Itamar's residents, but that no one was bothering to apprise the others of the progress being made in the case. "The common civilian is unaware of the operations, and it's too bad," he said, adding that the residents were keeping busy with social gatherings as well as recently approved construction. Uziel Damari, of the settlement's emergency services, said no one was keeping him up to date either. "When the public knows nothing we have a problem," he said. "Of course we also understand that there is an important intelligence operation going on and information may harm it." See all talkbacks "Awarta residents report daily IDF raids"